The Assembly of the Unemployed is a burgeoning movement that gives voice to South Africa’s more than 10 million unemployed. It unites many movements around the country fighting for the right to work, a basic income grant and the implementation of a number of job creation strategies that up to now, the government has ignored. As the Assembly of the Unemployed (AoU) we are dismayed by government’s inability to deal with South Africa’s structural unemployment in particular and the triple threat of poverty, inequality and unemployment in general. It is a scandal in a country with so much wealth, SA has one of the highest levels of unemployment rates in the world! The sea of unemployment is the breeding ground for the intense violence our communities face. Under the weight of unemployment the social fabric in our communities is collapsing and violence against women, gangsterism and substance abuse takes hold. At a 3 day workshop, held from 12-14 March 2019, as the AoU we concluded that the state must act decisively on the matter of unemployment in the country. We remind the government of its legal commitments to the right to work, which now forms part of its international human rights obligations This can be done through the adoption of a state lead widespread employment scheme that takes the threat of unemployment seriously. In addition we argue that the state must act on the few progressive, environmentally conscious programmes already in existence such as the “War on Leaks Programme”. We note however that this can only happen within the context of a functional state. As the AoU we stand broadly for the Right to Work on the pillars of a living wage and income for all. We believe that any society in which 10 million people are denied the right to subsist and millions others are paid below a living wage is not only unjust, it is untenable. As a result we also fight for the protection of the rights of all workers. We demand that the state implement a basic income grant if it cannot meet its obligations to provide decent work for all. We demand free public transport for those without the means, food security for all, a move toward climate jobs, free basic services, an end to labour broking, debt cancelation for the poor, free decolonised education, freeing the means of communication and the ending of expanded public works programme (EPWP) with EPWP workers integrated into municipalities with favourable working conditions. The state has an obligation to fulfill these rights. We maintain however that this cannot happen under the current growth trajectory. 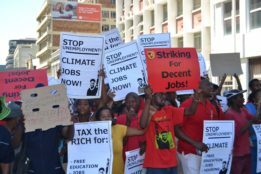 South Africa’s over reliance on fossil fuels, low paying jobs and the obsession with FDI function as impediments to this ideal. Nor can this happen within the context of a non-responsive state that follows the whims of big business over the needs of the masses. Corporate power must be curbed, the progressive redistribution of wealth must occur and so too must a move towards a wage lead, low carbon sustainable growth path. 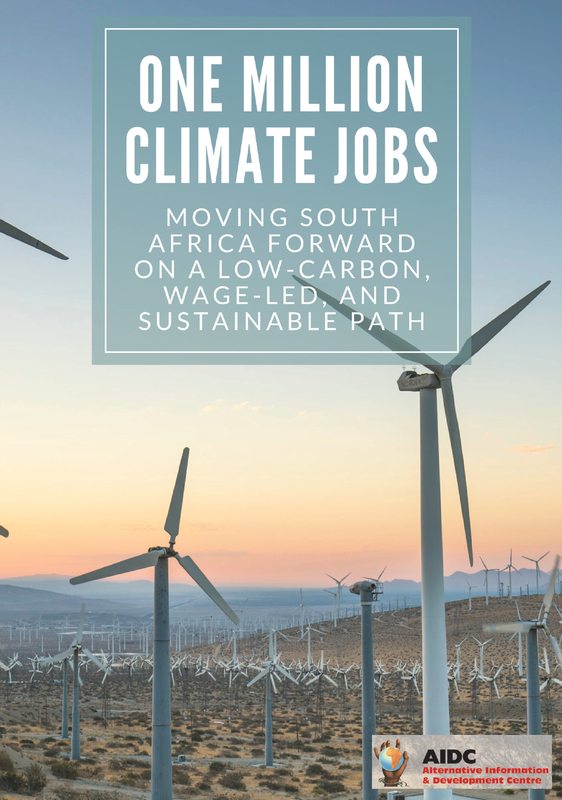 In addition the state must move towards adopting programmes like the One Million Climate Jobs programme in one year to achieve many of these goals. We are also of the view that a state lead, labour intensive infrastructure programme, focused on building quality public housing can stimulate a number of downstream industries and create decent work and house the unemployed. The private sector also needs to be held to account and the super-exploitation of workers in the private sector must end. We demand the immediate introduction of a 35-hour work week with no loss of pay so as to create employment for the more than 10 million who are unemployed. We are aware that the state will not merely act on these measures on their own accord. It will have to be compelled to do so by an organised movement of the unemployed along with other social forces. 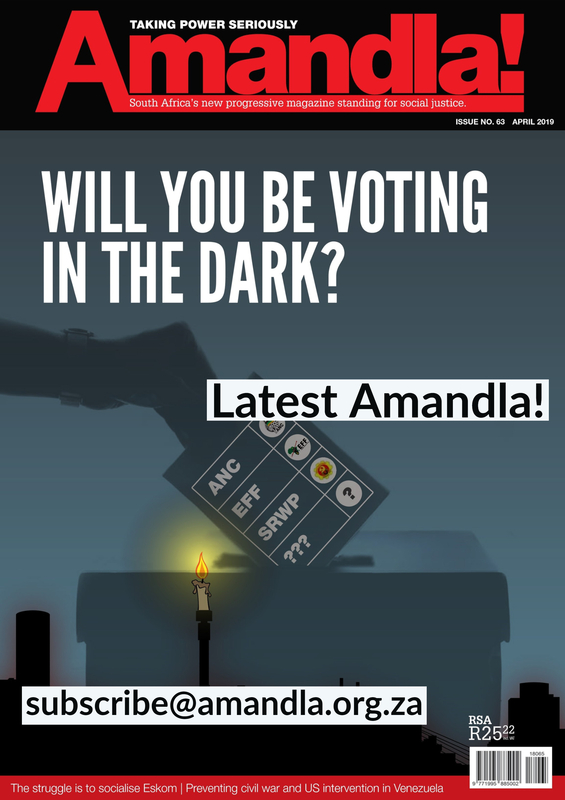 As the AoU we are committed to carrying this mantle and pushing forward the plight of the more than 37% of South Africans who have no jobs or the means to subsist. As social movements comprised primarily of the unemployed and the underemployed we believe that there can be nothing about us without us.